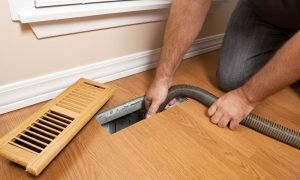 The air ducts in your home may not be something you think about often, but they are pretty important to the overall system of your residence. They work together with the heating and cooling systems to heat as well as cool your house. They transfer air all around and if any issues arise, that could spell bad news for you and your loved ones. If the problems are too bad, you could be looking at air ducts repairs or entire replacements. One solution to this issue is to ensure that the ducts are cleaned on a regular basis. This not only ascertains your heating & cooling systems are functioning optimally, but could ideally have an effect on the overall health of you and your loved ones. 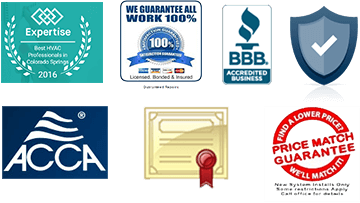 Here are the health benefits of clean air ducts in Fountain CO.
A clean air duct system produces far much cleaner air in the house of Fountain CO. This means that the quality of indoor air will be much higher. Dust tends to accumulate pretty fast and if you don’t clean the duct system, you’ll just be blowing dust around the home, making the air thick and harder to breathe. Breathing dusty or dirty air on a regular basis could lead to a number of health issues such as asthma and other respiratory conditions that are hard to treat. The quality of your indoor air can be improved by cleaning the house along with the ducts, but it’s possible to remove unhealthy contaminants that can cause problems to you and your loved ones. These include an array of air pollutants like dander, dust, and other harmful chemicals that lead to health issues when inhaled. These can be particularly problematic if you or a loved one already suffers from respiratory conditions like allergies or asthma. So, ensure you breathe easier by having those air ducts cleaned in Fountain CO on a regular basis.